One fascination with vintage purses that we’ve had and one that many fellow collectors probably also share is imagining where these purses have traveled, what sights of the past they have witnessed, and whose arm they graced. Was she a bold flapper out on the town or a sophisticated lady attending the opera who chose that moderne accessory, the metal mesh purse? It isn’t often that collectors have the privilege of knowing the identity of previous owners of purses in their collection. Imagine our delight in finding a special corner compact purse and then discovering that not only did the current owner work for Whiting & Davis in more recent years, but the original owner also worked for Whiting & Davis in the 1920’s! Such was the case in 1996 when we went to Plainville, MA, home of Whiting & Davis, to visit friends and acquaintances we had met in 1991 when we participated in the Plainville Historical Commission’s exhibit “The History of Mesh in Plainville”. At that time our friend, Barb Fluck, then chairman of the Historical Commission, told us that Barbara Parmenter, another commission member, had decided to part with two mesh purses that she owned. We were excited to learn that one of the purses was a compact bag and the other was a child’s purse, two of our collecting specialties. Only when we met with Barbara did we discover that the compact bag was the beautiful Art Deco corner compact bag (pictured above) and the child’s bag was an adorable miniature version of the Princess Mary purse (pictured below), another favorite of mesh purse collectors. At that time we were so excited that these purses had been offered to us that we did not have the presence of mind to ask Barbara for provenance. 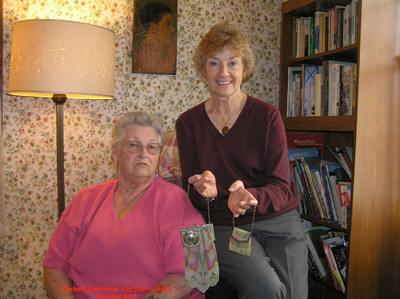 On a recent trip to Plainville, 15 years after we purchased her purses, we met with Barbara again. This time we asked Barbara to draft a brief account of how she came to own the purses that we purchased from her in 1996. She graciously agreed, and the result, shown below, is Barbara’s letter of provenance and a photo of her Aunt Maida King, the original owner of the purses. 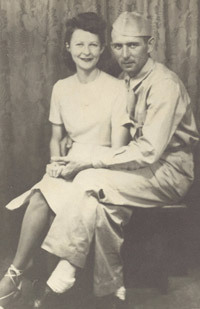 Maida King started with Whiting and Davis in 1928 in the repair department. As was president Charles Whiting’s custom, he sometimes gave gifts of mesh purses to visiting celebrities and employees alike. 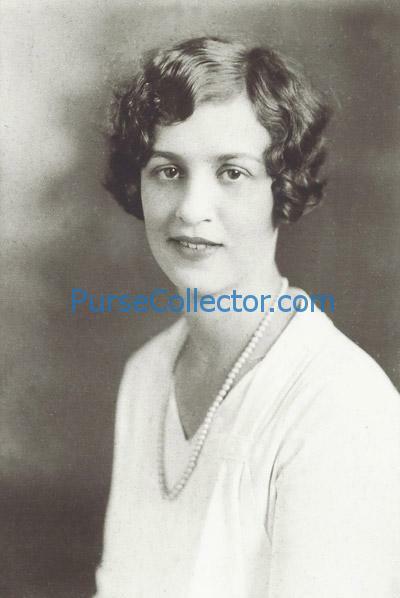 Maida’s Aunt Louise was also a W&D employee and she too gave Maida mesh purses as gifts. 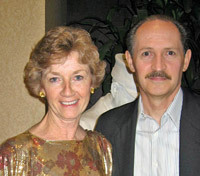 Speculation is that Maida received the purses from one of these two sources. 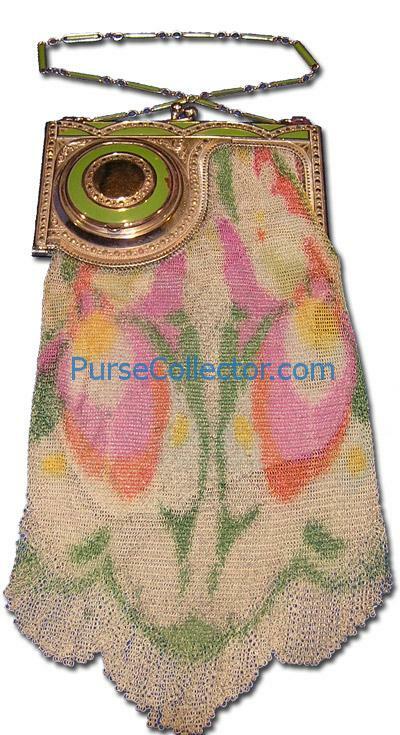 The corner compact purse sold for $43.50 at retail, a sizable sum in 1930. How happy she must have felt the day she received these beautiful purses, but certainly no happier than we feel today as the fortunate owners of her purses with an authenticated history.